Welcome to Costa Vista Vacation Rentals! Costa Vista a beautiful townhome complex right near the beach in Destin, Florida. You'll be able to elax on the sugar white sands or enjoy some time by the community pool. Enjoy your morning coffee overlooking the emerald green waters of the Gulf and finish your night watching the perfect sunset after a nice seafood dinner. If you are ready for a great family vacation or couples getaway, reserve a townhome at Costa Villa today! Costa Vista townhomes are surrounded by fun things to do. Big Kahuna's is a fun place full of rides and slides that can be a blast for everyone. Watersports such as paddleboarding, parasailing, and wave runners are all easy to come across when staying this close to the beach. Relaxing on the sand next to the ocean, going to a local masseuse or just hanging out on your back balcony enjoying the view are few of the more relaxing activities. If you're looking to partake in some excellent eats while you stay, you're in good hands. The amount of delicious seafood eateries down here is just about endless. The majority of them offers you great service and even some amazing views of the ocean to take in while you dine. If you go at the right time, you'll catch the perfect sunset. Stay at Costa Vista this year, you won't regret it! 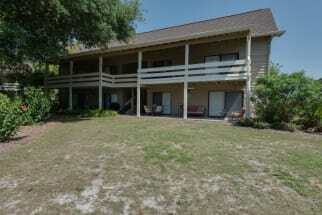 Book your next vacation to Costa Vista Townhomes in Destin, Florida on ECBYO.com. ECBYO puts you in direct contact with Costa Vista owners and managers making booking your trip convenient and easy. We hope you enjoy your stay on the Emerald Coast!